Watch Your Chord Playing Explode With These Cool Jazz Shapes For Your Acoustic Guitar! Want to learn some really cool jazz chord shapes for your acoustic that will totally change the way you see, feel, and play rhythm guitar? If you don’t like jazz, it doesn’t matter! Personally I do, and most guitarists I’ve met, and played with, would love to be able to play a little jazz. However, these chords can be used in all styles of music and will not only drastically increase the amount of chords you can play on your acoustic guitar, but also form a very important foundation for chords you will learn in the future. Fact is, there are many things you can learn from jazz without playing the style, and the series of chord shapes I am going to introduce you to today is a great start! 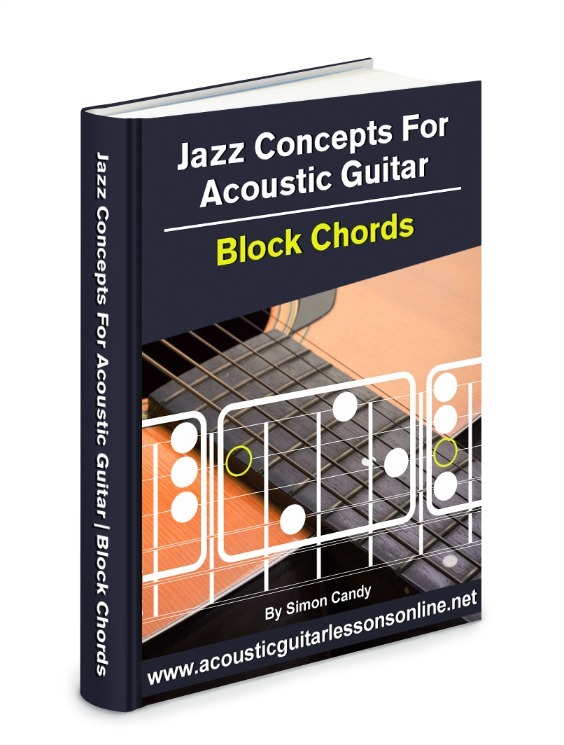 Get free instant access to “Jazz Concepts For Acoustic Guitar - Block Chords ” now. Simply fill out the easy form below, then click the “Give Me Access Now” button.